is a commercial photographer specializing in corporate photography for a wide range of clients in the lifestyle, food, events and industrial sectors. With a creative and service-oriented approach, Martha works with clients to ensure their desired message is portrayed in the photos and visuals she delivers. Ultimately, Martha strives to tell your story through compelling, professional photography, combining her eye for design as a trained interior designer with an artistic point of view. 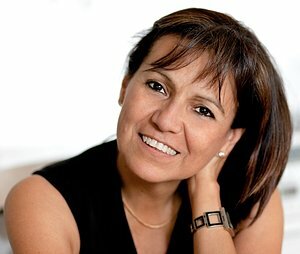 Martha was born in Mexico and has been living in Canada for over 30 years in Ashburn, Ontario. In addition to commercial photography, Martha enjoys teaching and creating art at her studio ? Studio 1245. She has exhibited her work in local and international art exhibits including ArtPrize, and serves as Chair of the Ashburn Arts Circle.